Throwing it back to May 2013. Facebook Poll winner Captain Pat Patriot. 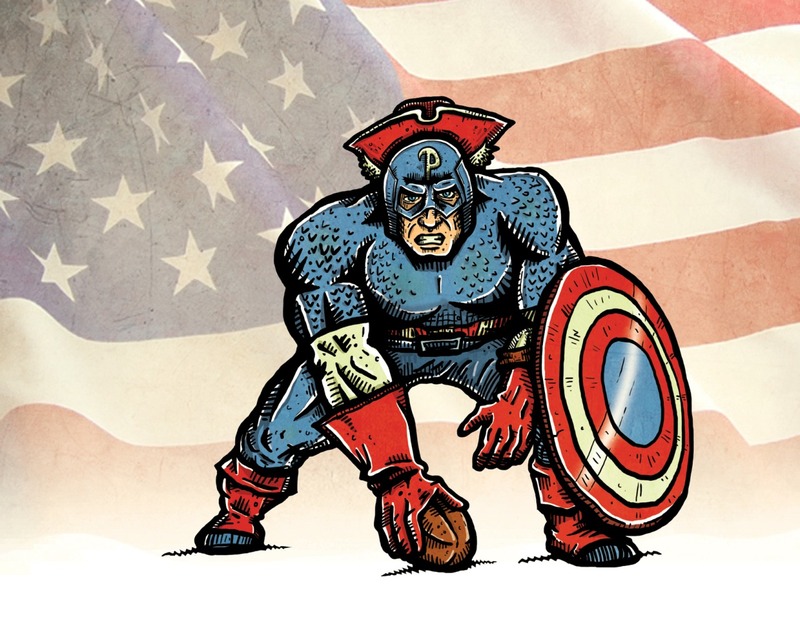 A hybrid of your favorite superhero and your favorite football team. NATIONALISM. He’s ready to make you red, white and blue. SET-HUT. This was a fun one, although I was hoping the Green Monster as Iron Man would win.